In this lesson, we will learn how to find the volume of a composite solid consisting of two or more regular solids, like cubes, rectangular prisms, and cylinders. Calculate the volume of the figure. 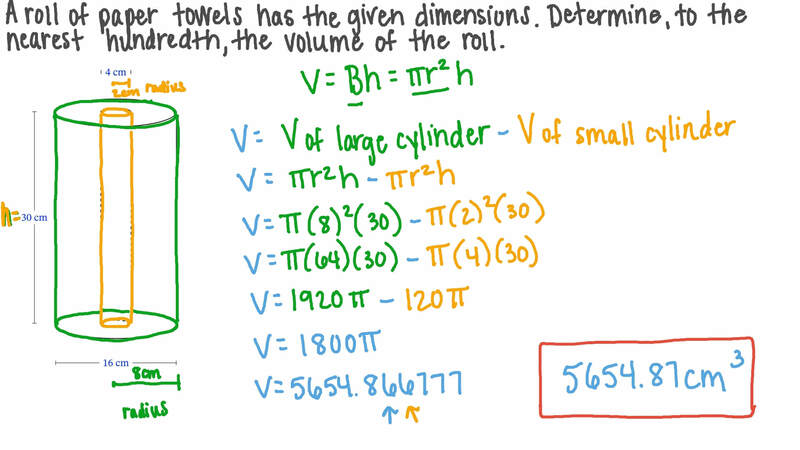 A roll of paper towels has the given dimensions. Determine, to the nearest hundredth, the volume of the roll. 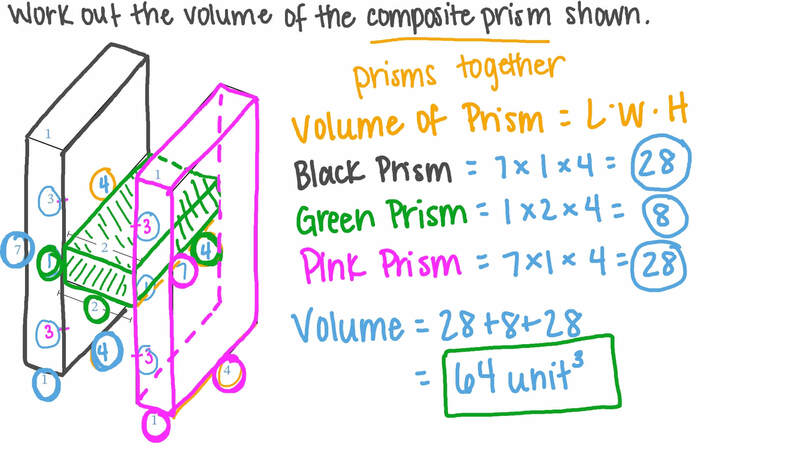 Work out the volume of the composite prism shown. Find the volume of the hexagonal prism shown in the figure. The figure shows the design of a swimming pool. Work out, in cubic meters, the volume of water needed to fill the swimming pool completely. The figure shows the design of a swimming pool. If the pool is to be filled to a point 0.5 m below the brim, work out the volume of water that would be needed in cubic meters. Find the volume of the given solid to the nearest tenth. Find, to the nearest tenth, the volume of this solid. Find the volume of the solid. The shape in the given figure consists of a cylinder with a hemisphere attached to each end. 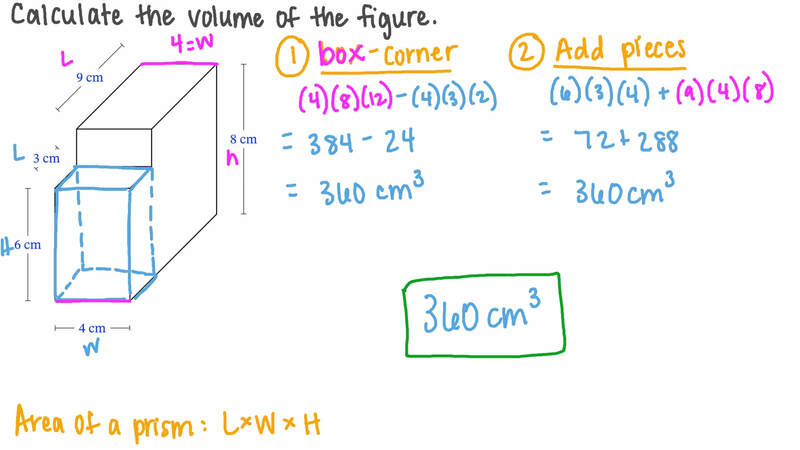 Work out its volume, giving your answer to two decimal places. To work out an estimate for the volume of a human body, we could model the body using a series of cylinders and spheres as seen in the given figure.